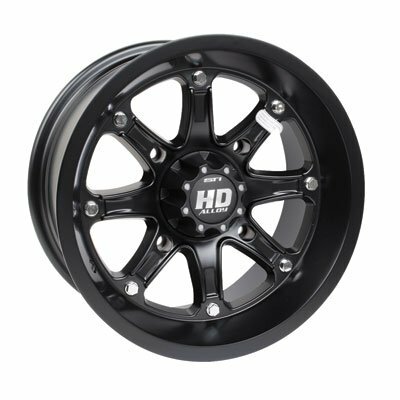 The STI HD4 Limited Edition Alloy Wheel is the HD4 dressed in a more mature and refined look that houses the same superior performance. Bling has been toned down with a loss of the lip and spoke accents, and paint that ditches high gloss for a more matte look. You can still tell there's a bad attitude underneath. And since the HD4 Limited keeps ITP's reinforced inner and outer lips, a 1000 pound load capacity, and huge sizing options it can certainly hold its own whether you're looking to ride hard or go out for a quick trip. If you have any questions about this product by STI, contact us by completing and submitting the form below. If you are looking for a specif part number, please include it with your message.